Logistic Edge is a privately owned and operated, third party logistics (3PL) services provider. 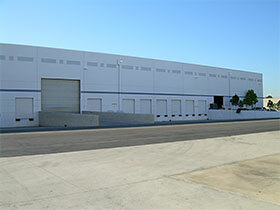 With our focus on the high volume of imported goods from around the world, Logistic Edge has uniquely positioned itself to become a leading provider of 3PL services in Southern California. Our locations in Southern California hold a tremendous geographic advantage for companies looking to quickly distribute their imported goods. Nearly fifty percent of the nation's imports travel through our local ports of Long Beach and Los Angeles. Logistic Edge has a highly experienced management team with over 50 years of experience in the logistics industry. Our skilled and knowledgeable team stands behind our commitment to the highest levels of customer service. Logistic Edge services a wide range of industries including apparel, paper products, medical devices, consumer products, sporting goods, and more. 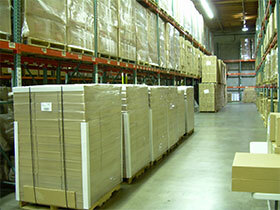 We are an asset-based provider with our own warehouse facilities. Our capabilities range from warehousing and distribution operations to value added services such as re-packaging, labeling, and light assembly. Our goal is to develop and maintain permanent relationships with our customers. We believe in providing you with the latest technology. Our web-based WMS with real time access to critical information and fully integrated EDI allows us to seamlessly integrate with your internal systems. 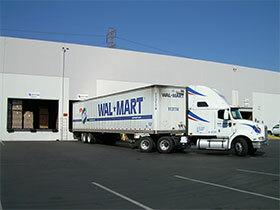 Logistic Edge has demonstrated the ability to service the needs of the world's largest retailers including Wal-Mart and Home Depot. As demand for outsourced logistics and warehousing services continues to grow, Logistic Edge will be there to provide personalized service and customized solutions to fit your needs.